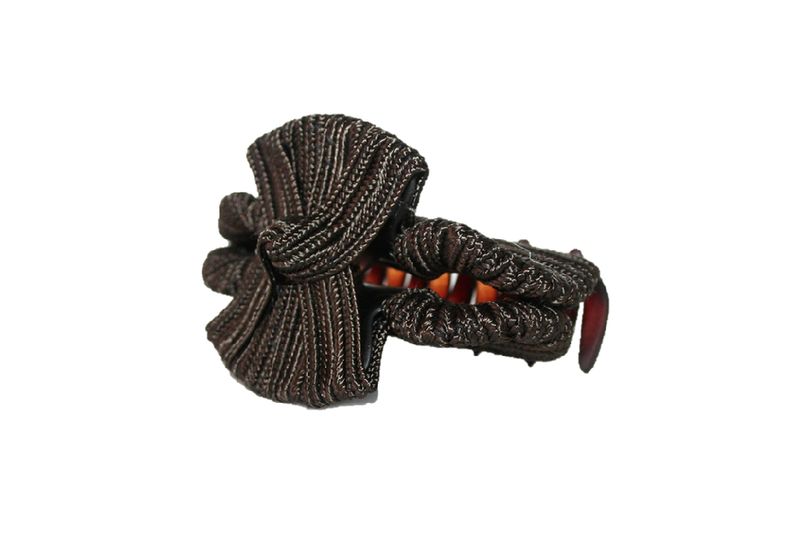 Our classic, everyday clamp ~ wrapped in our exclusive 'inverted braid' fabrication. This clamp measures 3 " in length and 1 1/2" top to bottom with a 'twist' accent on top. Available in an array of colors and shown here in chocolate.